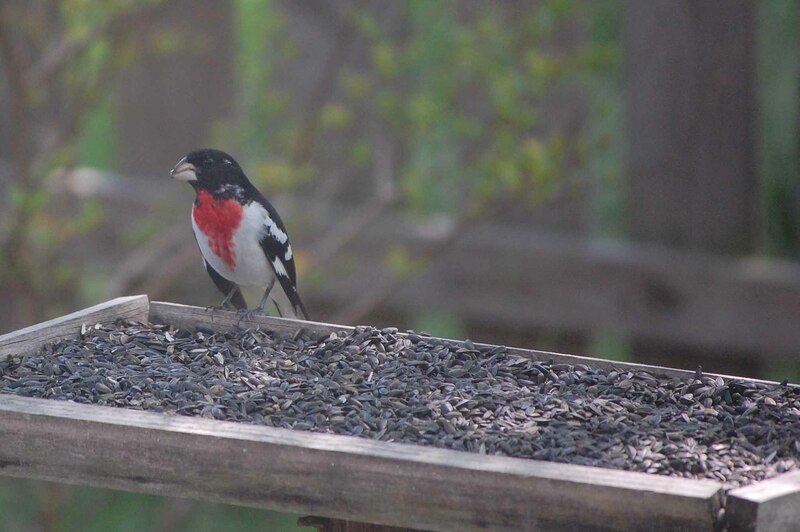 My husband spotted him first while I was at work: a Rose Breasted Grosbeak at our feeder. SO exciting – I’ve seen them before, but rarely, and NEVER in my own back yard. Just plain old sunflower seeds on a platform feeder did the trick. He was here for several days and I got a good look at him, the little cutie pie. My husband has been my best garden supporter this year; he signed me up for the organic herbal gardening course that spurred me on; he gave me a gift certificate to the best nursery in town; AND he spent his birthday money to make me three of these excellent new planters. 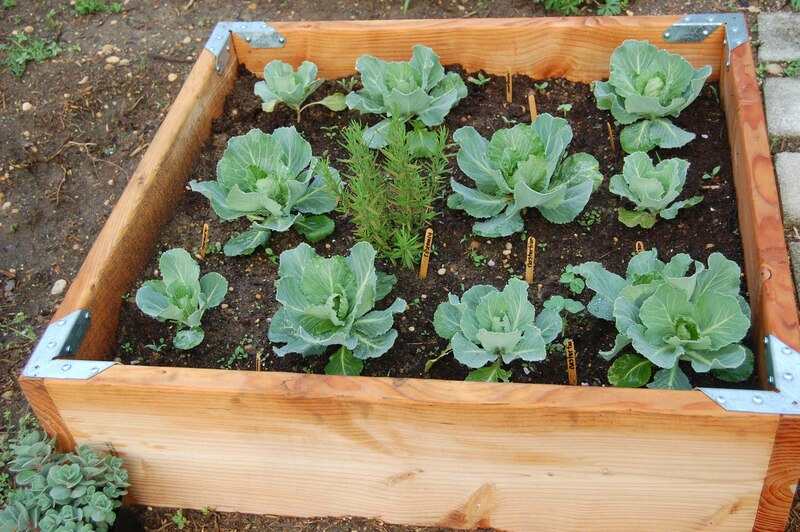 This one is sporting cabbages (I’ll pick the biggest and let the little ones continue to grow), rosemary, nasturtiums, and sunflowers.